It's time to declutter! Check out our suggestions of places to donate your pre-loved possessions in Canberra. Now that the Christmas dust has settled and the Boxing Day sales are winding down, do you realise just how many new, perhaps unwanted, possessions have snuck into your life? Clothes, gadgets, toys, appliances that may have been gifted or bought on an impulse in the Christmas rush have now either lost their shine OR their brilliance is dimmed by the clutter around it. Fortunately, it is the start of a New Year bringing new opportunities and inspiration to purge the things that don’t serve a purpose in our lives. While a major declutter session can give a great feeling of accomplishment, it’s important to remain thoughtful of where and what you pass on. If you can no longer find a purpose for that iPod that stops working after a few minutes, or that shirt that has the ink stain, chances are most others won’t as well. When you’re deciding on the items to donate to your local charity organisations (and we hope that you regularly do! ), ask yourself if and how they can be useful to another person. If you can’t answer that question, there are many recycling options you can consider before going straight to landfill. 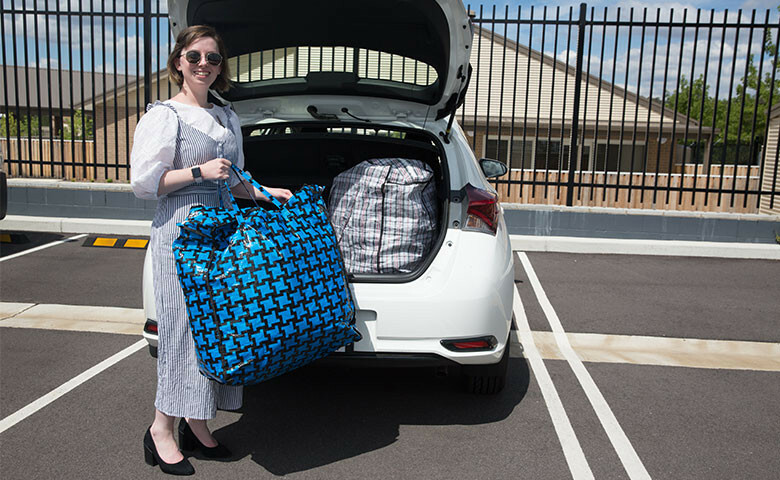 Clothes and Food: Communities@Work in Tuggeranong and Gungahlin accept donations of non-perishable food items and clothes that can be worn in the workplace, to a special occasion or social gathering. There is also a Communities@Work donation bin specifically for work-wear at The Green Shed in Hume and Mitchell. Casual clothes can be donated to organisations such as St Vincent de Paul, Salvos, The Smith Family or the non-Communities@Work donation bins at the Green Shed. Furniture: St Vincent de Paul can help facilitate your furniture donation if you give them a call a few weeks in advance. Arrange a pickup with Vinnies in the ACT by calling (02) 6234 7310. You can also donate your furniture to the main Salvation Army Store in Fyshwick. Appliances/toys/other: As well as clothing, The Green Shed take bikes, appliances, electronics, building materials, games, toys and many more, as long as it is in good, working condition. So far, they have saved over an incredible 54,517,400 kilograms from landfill. So, act on those new year vibes that only come around once a year and tackle the clutter. It’s better to donate than to accumulate.